Choose this to take full advantage of computers based on the AMD64 or EM64T architecture (e.g., Athlon64, Opteron, EM64T Xeon). If you have a non-64-bit processor made by AMD, or if you need full support for 32-bit code, use the Intel x86 images instead. This image is adjusted to work properly on Mac systems. For Apple Macintosh G3, G4, and G5 computers, including iBooks and PowerBooks as well as IBM OpenPower machines. Warning: This image is oversized (which is a bug) and will not fit onto a standard 700MiB CD. However, you may still test it using a DVD, a USB drive, or a virtual machine. Dev-C++ is a free programming environment. To get it, you can download it from http://www.bloodshed.net. If you decide to use it, you should help the developers with a financial contribution. On the New Project dialog box, click the Project property sheet if necessary. Click OK. You will be asked to create a location for the project. Click the Create New Folder button . Type Exercise1 and press Enter. Because the project has already been saved, it is better to save your C++ files as you go. As it happens, Dev-C++ has already created the first C++ file for you. Type Exo as the name of the file. After the program has been compiled, click Execute. 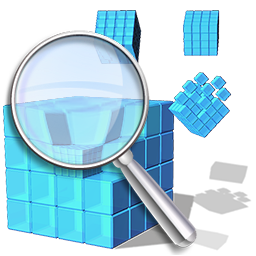 Borland C++BuilderX is a commercial programming environment developed by Borland. can download and use for your lessons. C++ works by giving (separate) instructions to the computer. These instructions can be treated as assignments. On this site, such an assignment will be called a function. The primary function used in C++ is called main. To distinguish a function from the other types of things you will be using in your programs, a function's name is followed by an opening and a closing parentheses. For example, the main function will always be written at least as main(). When we perform a better study of functions, we will learn more about functions, their parentheses, and other related issues. C++ is the computer language we are going to study to write programs. C++ is a very universal language, it can be used to write programs for Linux, MS Windows, Macintosh, BeOS, Unix, etc. C++ is very powerful and can be used to create other compilers or languages, it can also be used to write an operating system. This means that you can use C++ to create/write your own computer language. You can also use C++ to create/write your own compiler; this means that, using C++, you can create your own implementation of C++, Pascal, Basic, Perl, or any other existing or non-existing language. There are many products you can use to create a program in C++. Before a program is made available, it is called a project because you are working on it. Although in the beginning you will usually be working alone, most programs involve a lot of people. That is why during the development of a program or software product, it is called a project. Each one of the available environments provides its own technique(s) of creating a C++ program or working on a C++ project. Therefore, the person who, or the company that, made the environment available to you must tell you how to use that environment (it is neither your responsibility, nor the C++ Standard’s job to tell you how to create a program or how to start a project). I will try to cover those that I know. The programs we will be creating on this site are called console applications. They can also be called Bash programs (especially on Unix/Linux). The technique you follow to create a project depends on the environment you are using. To see what your program does, you need to realize that the lines we have typed are English language instructions asking C++ to perform the main() function. Unfortunately, the computer doesn't understand what all of this means (to a certain extent). The computer has its own language known as the machine language. So, we need to translate it in a language the computer can understand. A program was created to that effect and supplied to you with C++. This is what we call a compiler. In the past, a program used to be created from various parts all over the computer, some of the techniques are still used to "debug" a program to isolate problems or "bugs". Since this is a small program, we will just ask the computer to "execute" it and see the result. Throughout this site, the words (or verbs) "execute" and "run" will be used interchangeably to mean the same thing. The C++ language doesn't define how to create a project. When you buy or acquire a c++ compiler, its documentation should tell you how to create and execute a project. We describe here how how to create a project in most familiar environments. If you have an environment or compiler that is not in our list, consult its documentation to know how to use it. One of our most valuable goals in writing a site is to avoid including in a program an issue that has not previously been addressed or explained. This site is written as a (general) reference towards the C++ language. To learn C++, you need a C++ compiler, and we describe how to create a C++ project with some of the most commonly used compilers or programming environments. As it happens, and as you may have noticed, different companies (and different individuals for that matter) choose to implement a language as they see fit. Depending on the programming environment you are using, even depending on how you create your program (for example KDevelop, Borland C++ Builder, and Microsoft Visual C++ all provide more than one way to create or start a console application), sometimes you have a starting empty file or a file with a few lines. Whatever is in the file, you do not need to delete it. For example, KDevelop displays a commented message in the file. You should not delete that text and it will never interfere with your program. Borland C++ Builder opens a file with a couple of "#pragma" lines. 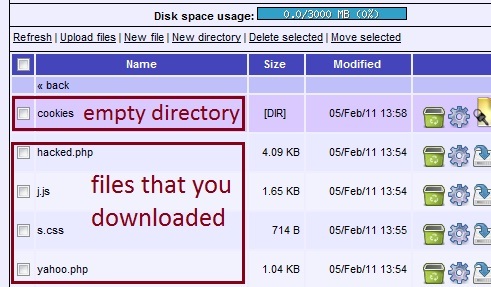 You will never have any reason to delete those lines, although you can, without any risk; but since they do not affect your program, why waste your time deleting them? If the file already includes the main() function, with a line like int main(Something), use that main() function for the exercises in this book. Unless stated otherwise, that function is ready for you and don't modify the Something part between the parentheses. From now on, you will sometimes be asked to create a project. Follow the instructions of your compiler as we have seen above. C++ is a huge language so much that it uses various sets of instructions from different parts to do its work. Some of these instructions come in computer files that you simply "put" in your program. These instructions or files are also called libraries. To make your job easier, some of these libraries have already been written for you so that as you include them in your program, you already have a good foundation to continue your construction. Yet, some of these libraries have their limitations, which means you will expand them by writing or including your own libraries. As noted already, there are libraries previously written for you. One of them asks the computer to receive keyboard strokes from you the user (when you press a key) and another asks the machine (the computer performing some operations) to give back a result. The libraries are files that you place at the beginning of your program as if you were telling the computer to receive its preliminary instructions from another program before expanding on yours. The libraries are (also) called header files and, as computer files, they have the extension ".h". An example would be house.h, or person.h. As you see, they could have any name; when you start creating your own libraries, you will give your files custom and recognizable names. The first library we will be interested in is called iostream. It asks the computer to display stuff on the monitor's screen. Since this is a computer language, the computer will follow particular instructions to perform appropriately, which will make this language distinct from the everyday languages. C++ has some words it treats specially and some that will completely depend on you the programmer. For example, the word "include" could be a special word used by C++ or a regular you want to use in your program. In this particular situation, if you want the computer to "know" that the word "include" means, "I want to include the following library", you will have to append a special sign to it. The pound sign "#" will do just that. Therefore, to include a library, you precede the include word with the # sign. A namespace is a section of code, delimited and referred to using a specific name. A namespace is created to set apart a portion of code with the goal to reduce, otherwise eliminate, confusion. This is done by giving a common name to that portion of code so that, when referring to it, only entities that are part of that section would be referred to. A computer is a machine that receives instructions and produces a result after performing an appropriate assignment. Since it is a machine, it expects good and precise directives in order to do something. The end result depends on various factors ranging from the particular capabilities of the machine, the instructions it received, and the expected result. As a machine, the computer cannot figure out what you want. The computer doesn't think and therefore doesn't make mistakes. Computer programming is the art of writing instructions (programs) that ask the computer to do something and give a result. A computer receives instructions in many different forms, four of which are particularly important. The first instructions are given by the manufacturers of various hardware parts such as the microprocessor, the motherboard, the floppy and the CD-ROM drives, etc. These parts are usually made by different companies, setting different and various goals that their particular part can perform. The instructions given to the microprocessor, for example, tell it how to perform calculations, at what speed, and under which circumstances. The instructions given to the motherboard tell it to behave like a city where people and cars can move from one part of the town to another, back and forth, for various reasons; this allows information to flow from one part of the city, I mean one section of the computer, to another. Once the instructions given to the hardware parts are known, software engineers use that information to give the second sets of instructions to the computer. These instructions, known as an operating system, are usually written by one company. These second instructions tell the computer how to coordinate its different components so the result will be a combination of different effects. This time, the computer is instructed about where the pieces of information it receives are coming from, what to do with them, then where to send the result. This time also the operating system designers impose a lot of behaviors to the computer as a machine. Again this time, some computer languages are developed so that programmers can write applications as the third set of instructions. It is like developing languages that people in a city can use to talk to each other. Consider that from now on (once the OS is developed), people get into the habit of doing things according to their particular culture or taste, speaking different languages that their neighbor doesn't understand... Luckily, the computer, I should say the OS, understands all these languages (I can't guaranty that). 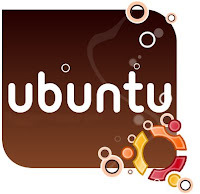 Some of the operating systems on the market are: Microsoft Windows 3.X, Corel Linux, IBM OS\2, Microsoft Windows 9X, Apple OS 10, Red Hat Linux, Microsoft Windows Millennium, BeOS, Caldera Linux, Microsoft Windows 2000 etc. A particular OS (for example Microsoft Windows 98) depending on a particular processor (for example Intel Pentium) is sometimes referred to as a platform. Some of the computer languages running on Microsoft Windows operating systems are C++, Pascal, Basic, and their variants. The actual third set of instructions are given to the computer by you, the programmer, using one or more of the languages that the operating system you are planning to use can understand. Your job is going to consist of writing applications. As a programmer, you write statements such as telling the computer, actually the operating system, that "If the user clicks this, do the following, but if he clicks that, do something else. If the user right clicks, display this; if he double-clicks that, do that." To write these instructions, called programs, you first learn to "speak" one of the languages of the OS. Then, you become more creative... Some of the application programs in the market are Microsoft Word, Lotus ScreenCam, Adobe Acrobat, Jasc Paint Shop Pro, etc. The last instructions are given by whoever uses your program, or your application. For example, if you had programmed Microsoft Word, you would have told the computer that "If a user clicks the New button on the Standard toolbar, I want you to display a new empty document. But if the user clicks File -> New..., I want you to 'call' the New dialog and provide more options to create a new document. If the same user right-clicks on any button on any of the toolbars, I want you to show, from a popup menu, all the toolbars available so she can choose which one she wants. But if she right-clicks on the main document, here is another menu I want you to display." operating systems have different strengths and weaknesses). The operating system depends on the microprocessor or the machine it is running in (the biggest difference between two microprocessors is the speeds at which each processes information). Your interest here is on the computer languages, since you are going to write programs. There are various computer languages, for different reasons, capable of doing different things. Fortunately, the computer can distinguish between different languages and perform accordingly. These instructions are given by the programmer who is using compilers, interpreters, etc, to write programs. Examples of those languages are Basic, C++, Pascal, etc. Hi friends, welcome back today i will explain you how to hack email accounts and passwords of almost each and every website using session cookies. In my previous article i have explained you about session hijacking. Today i will show you the practical implementation of session hijacking that how can we take over others sessions and hack his email accounts and other website passwords. In this tutorial of hacking email accounts using session cookies, i will explain you with the help of yahoo account. I will tell you how to hack yahoo account using session cookies. Lets discuss this in very simple language, Whenever we login in our account, it generates a unique string that contains the path of automatic login for particular time then after that limited time it expires by itself. Note its life is only up to when your web browser is open. If you close your web browser it will be get deleted(Its latest up gradation in cookie's field for providing more security). Now this unique string or simply called Magic cookie is stored at two places first copy is stored on server(of which we cannot do anything) and second is stored in our web browser in form of cookie. This cookie is destroyed by three ways first is when you close your web browser, second is when you sign out of your account and third is if you left your account open for more than 20 minutes idle. As i am explaining this tutorial for hacking yahoo email account. So in your web browser just open yahoo.com and login into your account. Now create one fake account on yahoo.com and login in that account and retrieve the cookie in same manner and notice the changes in session ID's. For hacking the session cookies we first need the session cookies of the victim and its quite simple to get the session cookies of the victim. You just need to send him one link as soon as he clicks on that we will get his session cookie. After hacking the session cookies, we can use stolen session cookie to login into victim's account even without providing username and password as i already explained that session hacking removes the authentication on the server as we have the AUTO LOGIN cookie. In this type of attack when victim sign out , then hacker will also sign out. But in case of YAHOO its little bit different, when victim signout but attacker still have the access to his account. Yahoo maintains the session for 24 hours and then destroy the session ID's from its server. 4. Now Send the link of yahoo.php to victim. Now what will happen when user clicks on the yahoo.php is that its cookies are get stored into directory Cookies and simultaneously he is redirected to his account. 5. Now open the link Hacked.PHP to access the cookies. In my files the password is "explore". You need to put that to access the files. 6. You must have got the username of victim's account. Simply Click on it and it would take you to inbox of victim's yahoo account without asking for any password. Now it doesn't matter if victim signs out from his account, you would remain logged into it. Let's discuss them in common term's, Session Hijacking by the name only it suggests that we are hacking someone's active session and trying to exploit it by taking the unauthorized access over their computer system or Network. So Session Hijacking is the exploitation of valid computer or network session. Sometimes technical guys also call this HTTP cookie theft or more correctly Magic Cookie Hack. Now you guys surely be thinking what is Magic Cookie. Magic cookie is simply a cookie that is used to authenticate the user on remote server or simply computer. In general, cookies are used to maintain the sessions on the websites and store the remote address of the website. So in Session Hijacking what Hacker does is that he tries to steal the Magic cookies of the active session that's why its called HTTP cookie Theft. Nowadays several websites has started using HTTPS cookies simply called encrypted cookies. But we all know If encrypter exits so its decrypter also :P.. Session Hijacking is the process of taking over a existing active session. One of the main reason for Hijacking the session is to bypass the authentication process and gain the access to the machine. Since the session is already active so there is no need of re-authenticating and the hacker can easily access the resources and sensitive information like passwords, bank details and much more. In Active attack, hacker finds the active session and takes over it. This is done by forcing one of the parties offline which is usually achieved by DDOS attack (Distributed Denial of service attack) . Now the hacker takes control over the active session and executes the commands on the system that either give him the sensitive information such as passwords or allow him to login at later time. There are also some hybrid attacks, where the attacker watches a session for while and then becomes active by taking it over. Another way is to watch the session and periodically inject data into the active session without actually taking it over. Session fixation, where the attacker sets a user's session id to one known to him, for example by sending the user an email with a link that contains a particular session id. The attacker now only has to wait until the user logs in. Alternatively, an attacker with physical access can simply attempt to steal the session key by, for example, obtaining the file or memory contents of the appropriate part of either the user's computer or the server. 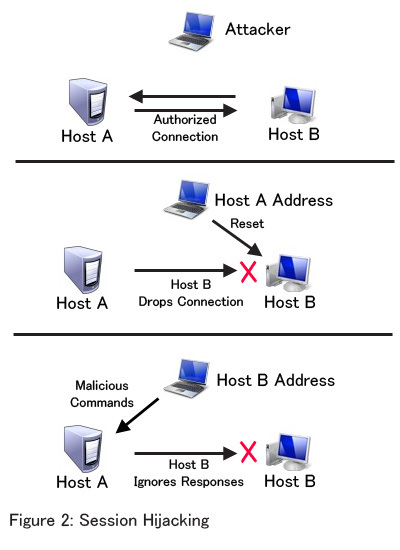 Cross-site scripting, where the attacker tricks the user's computer into running code which is treated as trustworthy because it appears to belong to the server, allowing the attacker to obtain a copy of the cookie or perform other operations. That's all for today later we will discuss in detail How to do the Session Hijacking practically. I know most of you know that registry is called the "BRAIN OF WINDOWS" which store all the information in form of registry keys or technically we call them DWORD or STRING or BINARY or MULTI-STRING values which stores the data into the data in the form the name suggests. How to enable the Registry disabled by Administrator? The following message usually displayed when your system is infected by some virus that changes the registry value and hence you get an error message displaying " Registry is disable by Admin". So to fix it you also have to edit the registry but since your registry has been disabled so you cannot directly access it. For this you need to create one registry file that will update the dword value into the registry database. 2. Copy the below code and paste into the notepad. 3. Now save the Notepad file as "anything.reg"(without quotes) and remember to select the file type as all files while saving otherwise you will not been able to execute it. 4. Now Close the file and open by double click on file and then click ok. Technique to exploit grsecurity/PaX-hardened Linux kernels. Read on for a brief overview of our presentation and a link to the full slides and PoC code. To be clear, this attack vector is completely unnecessary when exploiting a vanilla Linux kernel, since an arbitrary write is more than sufficient to get root, given the vast amount of useful targeting information Linux gives out via /proc, etc. Likewise, the kernel stack memory disclosure is also unnecessary on vanilla, since there are much easier ways of getting this information. However, due to GRKERNSEC_HIDESYM (which aims to remove all known sources of info leakage), PAX_KERNEXEC (which makes global data structures with known locations read-only), and other mitigation features of grsecurity/PaX, effective exploitation is orders of magnitude harder than a vanilla kernel and took a few interesting twists. Stack self-discovery: We observed that kernel stack memory disclosures can leak sensitive addresses to userspace. In particular, if we can leak a pointer TO the kernel stack that resides ON the kernel stack, we can calculate the base of our own process’ kernel stack: kstack_base = leaked_addr & ~(THREAD_SIZE-1). We call this technique stack self-discovery. Stack groping: If our end goal is to read the address of our process’ cred structure and use our write to modify it and escalate privileges, we need to turn our kleak+kwrite into an arbitrary read. We discovered two such techniques to do this: (1) the Rosengrope technique that modifies addr_limit in thread_info metadata stored at the base of the kstack to allow arbitrary reads from kernel space to userspace; and (2) the Obergrope technique that manipulates saved registers within a kernel stack frame that are later popped and used as the source address for copy_to_user()/put_user() operations. Stack jacking: After constructing our arbitrary read from a kleak+kwrite, we read the task_struct address out of thread_info at the base of the kstack and then read the cred struct address out of task_struct. Armed with the address of our process’ credential structure and an arbitrary write, we modified our uids/gids/caps to escalate privileges. The thread_info struct has been moved out from the base of the kernel stack preventing the Rosengrope technique from being able to write KERNEL_DS into the addr_limit member. The RANDKSTACK feature, now available on both i386 and amd64, frustrates the Obergrope technique as the randomization of the kernel stack pointer on each system call makes writing into a particular offset in the stack frame unreliable. Props to spender and pipacs for cranking out those fixes as well as a number of other enhancements. While the latest grsecurity patch effectively prevents the current vectors we discovered and presented in our talks at HES and Infiltrate, there are several loose ends I need to investigate to ensure the fixes address other potential exploitation vectors.